The remote monitoring of CHP units is an integral part of TEDOM's after-sales services. 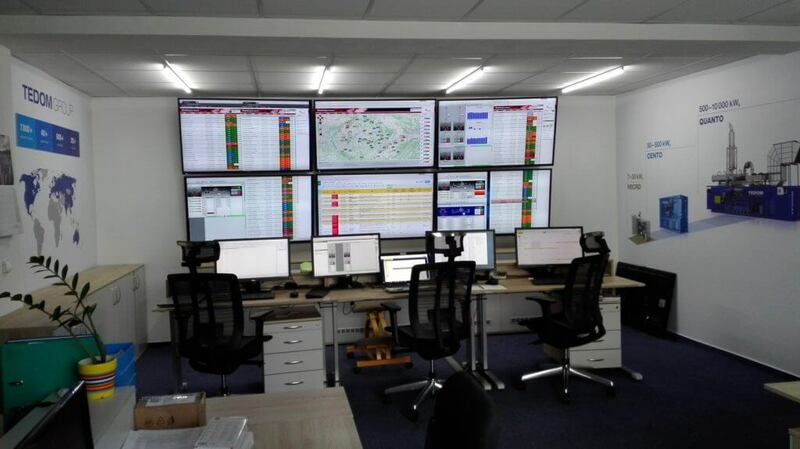 With regard to hundreds of units with the possibility of an online connection installed all over the world, we have previously extended the operating hours of the monitoring centre to 24 hours a day, 7 days in a week.In spring of this year, the very centre underwent a renovation. It now has a modern workplace with six large screens.